Headliners, we’re just one week away from the biggest weekend of the year! 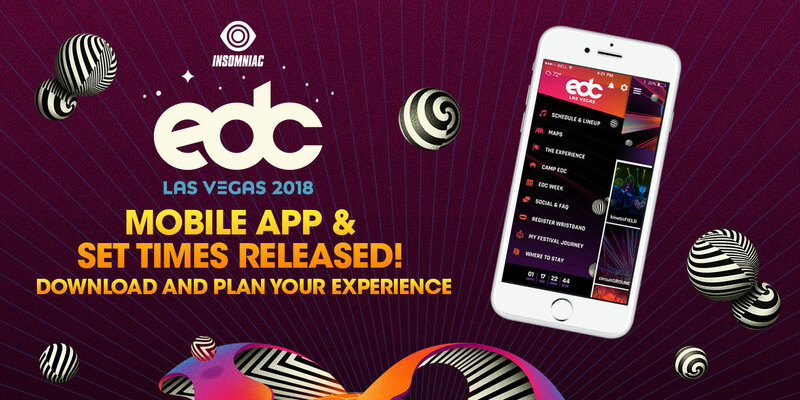 EDC Las Vegas, EDC Week, and the inaugural Camp EDC are about to commence, and today we’ve released the official EDC Las Vegas mobile app, with all the information you need to plan your adventure—including full set times for every single stage! In addition to the set times you’ve been waiting for, the EDC Las Vegas app is your best all-in-one resource for all things EDC. Artists, maps, rides, food & drink, costumed performers, merch, and more festival attractions can all be found inside the app. 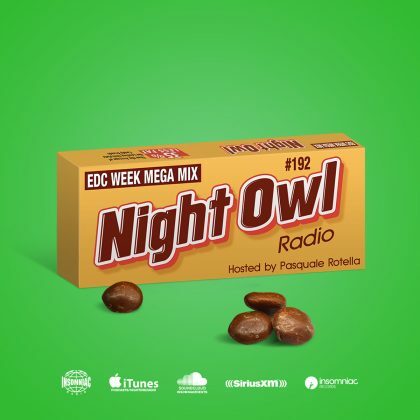 You can check out the full EDC Week schedule, browse Camp EDC activities, register your wristband, and connect with official EDC social streams as well! The “My Festival Journey” feature returns for 2018, offering a customized and shareable playlist of the artists you watch at the festival, using Bluetooth beacon technology! Sponsored by Hotels.com, it’s the perfect way to relive your EDC experience once the epic weekend concludes. Download the app now, build your schedule, and get pumped for EDC Las Vegas! EDC Las Vegas takes place Friday, May 18, through Sunday, May 20, at Las Vegas Motor Speedway. A limited number of VIP passes, shuttle passes, and Camp EDC RV spots remain, so grab yours now!